When I change something in features.php or features_items.php it doesn't work but if I rename them to default or if I just change the core files then it works. Does anyone have any idea why this doesn't appear to be working? I know about the priority thing that says that menu layouts will override the article and category layouts but this isn't a category layout, it's a part of the content component that just lists categories. Also, I've noticed that if I change the layout for a specific category then it actually overrides the menu layout so the priority doesn't apply then. Am I doing something wrong or how can I create an alternative layout for this particular component part? Make sure the XML file contains a unique name. In order to override the default.php layout, the files in the HTML folder need to be named the same as the ones you want to override. You can't override the XML file, only the php files. Not the answer you're looking for? 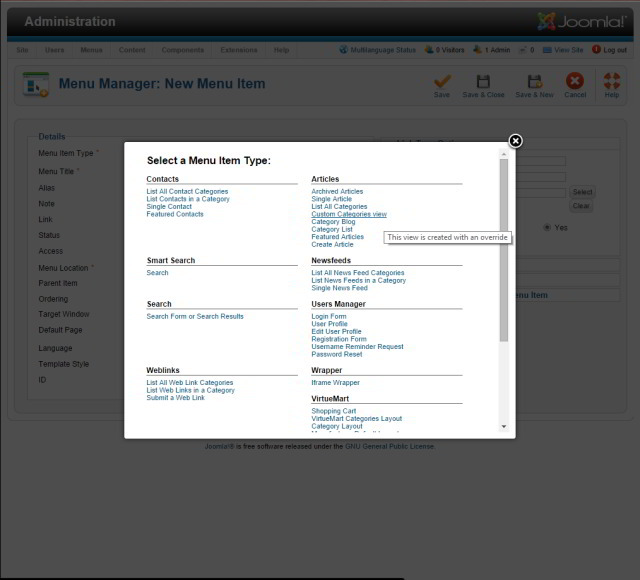 Browse other questions tagged joomla-2.5 template-override or ask your own question.